Now that we're in full swing of rehearsals for The Ring of the Nibelung we thought we should recommend some nice, light summer reading to get you all ready! Every Ring goer will find this book an indispensable part of their collection as another great artist tells the tale of the old Norse myths. It may not be exactly the story you know, but it sure makes for great reading! Call Amusements, the Seattle Opera gift shop, at 206.774.4990 and get your copy today! 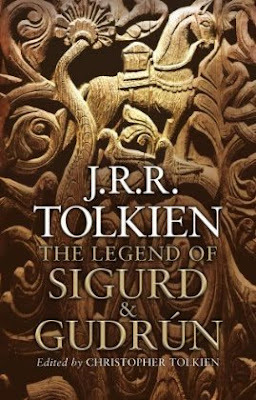 My favorite publication released by Tolkien's heirs since THE SILMARILLION! Highly recommended.